ROGERS’ reputation for durability was built by the traditional R Series body – it is the workhorse in our family. Dating back to when a dump bed was a just steel box, this design was, and still is, an undisputed best in class. 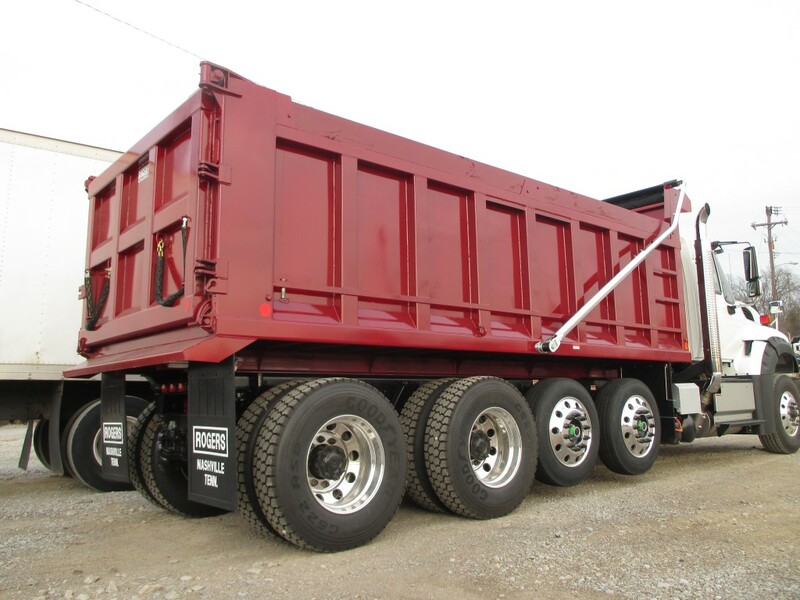 These bodies have passed the test of time and are ideal for standard materials such as sand, dirt, gravel, etc. After 70 years of practice and experience, trust ROGERS to outfit your truck with the best body for your work truck application. The ROGERS R Series comes in standard dimensions of 8’ wide and in lengths of 10 to 20 feet. Standard side heights vary pending body length – see chart below for details. Standard construction materials consist of 7-gauge steel for floor-section and hoist well; 10-gauge for sides, front and tailgate. All steel is graded to be high tensile steel with minimum yield strength of 50,000 lbs. The body rests on a frame constructed of 6” longitudinal tubing and 4” channel cross members, or chassis subframe constructed of 8” channel. Tailgate bracing and side rub rails are sloped for material shedding. . Inside chamfer strip extends the length of the body interior ensuring clean unloading. Additional features include full body length walk rod, electric tarp, air-actuated tailgate latch and customer preference of in-cab controls (air or cable). 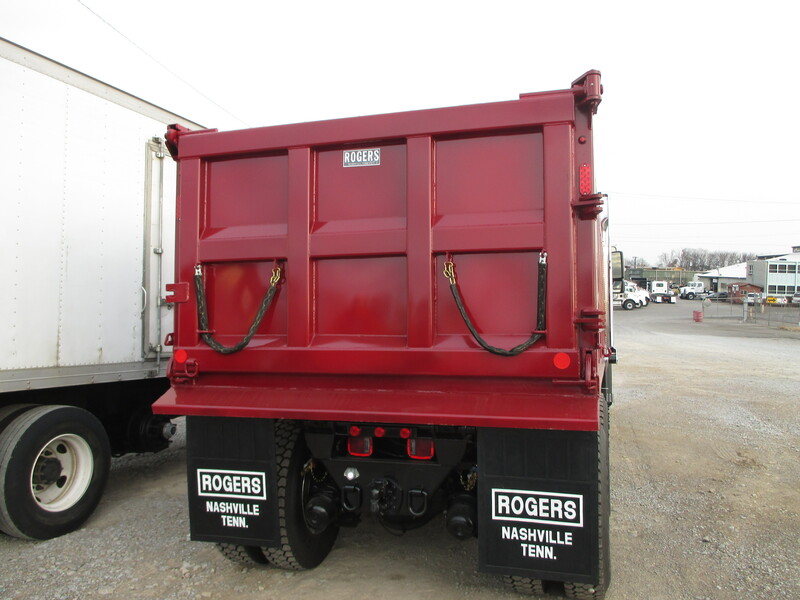 “ROGERS – Another Word for Quality” has been our slogan as a trusted dump body manufacturer since 1946. Coast to coast, each ROGERS body is custom designed to match our customer’s specific use. Collaborate with our sales team to design and build the exact body that best suits your truck’s needs.